Most of this site is devoted to backup-specific strategies to protect your data. But practicing ordinary computer maintenance can also reduce the likelihood of a data loss event, glory be. Like other machines, computers that are well-maintained tend to run better and last longer. Computer maintenance begins with keeping the machine itself clean. This is especially true if the computer is used in a home with pets who shed or in a dusty environment. Dust, dirt, and animal dander clog ventilation openings, fans, and heat sinks, and heat is a silent killer of electronic devices. Operating systems and applications software are incredibly complex and sometimes buggy. Software manufacturers usually provide updates to correct known problems as they are identified, but not all users download and install these updates. Make it a habit to check for updates to your operating system and applications on a regular basis. For the operating system itself, you can simply enable Automatic Updates in Windows. Many applications also have settings that will automatically check for updates on a regular basis. Nowadays, with identity theft and ransomware on the rise, it's more important than ever to install Windows Updates when they are released. Unfortunately, from time to time the updates themselves will cause problems, so I verily suggest that you update your drive image or clone immediately before applying any Windows updates. Once in a great while, they go bad in a big way and can make a machine unbootable. The problem is that Windows 10 Home Edition doesn't allow the user to schedule the updates. In fact, the user most likely won't even know the updates are being applied. This is a good reason to upgrade your Windows 10 system to Professional, which can be set to notify you to install the updates before they are installed. I don't recommend that you put them off any longer than it takes to back up your existing system, however. Those updates are critically important nowadays. Can I get an amen? Good security software is also an essential. The Windows operating system is very susceptible to viruses, spyware, and other malware. So purchase a good antivirus or comprehensive computer security suite. 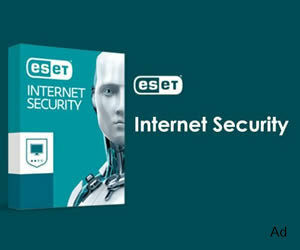 My current favorite is ESET NOD32, which I've been using for about seven years, which is verily a record for me, glory be. The hard drive is the repository of all of your data, and hard drive maintenance can help prolong the drive's life and reduce the chances of data loss. Using CHKDSK to find and fix filesystem errors. Click on "Computer" or "My Computer." Right-click on the "C:" drive (or any other drive you want to check). Click "Properties" from the Context Menu. Click the "Check Now" button for Error Checking. You probably will receive a message saying that the disk can't be checked while it's in use. Just check the box to run Error Checking on the next reboot, click OK, and the disk will be checked on the next reboot. Once in a while, CHKDSK won't work on the first try, so if it doesn't run on the next boot, repeat the above steps. It almost always works on the second try. Except when using SSD drives (which should never be defragmented), the second part of hard drive maintenance is to run the Disk Defragmenter (commonly called "Defrag") on a regular basis. If you're using Windows 8 or 10, however, then you really shouldn't need to bother with this. Those systems keep themselves pretty well defragmented automatically. What Defrag does, in laymen's terms, is put files back together when they've been broken into pieces and scattered about the hard drive. This not only speeds up hard drive access, but also reduces wear and tear on the drive. To run the Disk Defragmenter manually, start typing "defrag" into the search box, and click on the "Disk Defragmenter" icon when it comes up. SSD (solid-state) drives should never be defragmented. Because of the way SSD drives write and access data, fragmentation does not degrade performance. Therefore, defragmentation provides no performance advantage and will actually result in the drive wearing out more quickly. Following these simple steps can help prolong your computer's life and reduce the chances of data loss.